The name of this organization will be the NATIONAL ASSOCIATION OF CREDIT MANAGEMENT (NACM), a nonprofit, nonstock corporation, incorporated in the state of Maryland. The offices of NACM will be located ihttps://dev.nacm.org/administrator/index.php?option=com_content&task=article.edit&id=162n the state of Maryland and/or other localities as may be determined by the Board of Directors. 2.1. Mission and Core Purpose. NACM's mission and core purpose is to position business credit professionals for success while setting standards of excellence in business credit and financial management. NACM is committed to enhancing, promoting and protecting the interests of business credit and financial management professionals; representing business credit grantors in all industries; being a member-governed and owned association that exists primarily to serve and support its members, and to research and benchmarking. 2.2. NACM Statements on Issues. 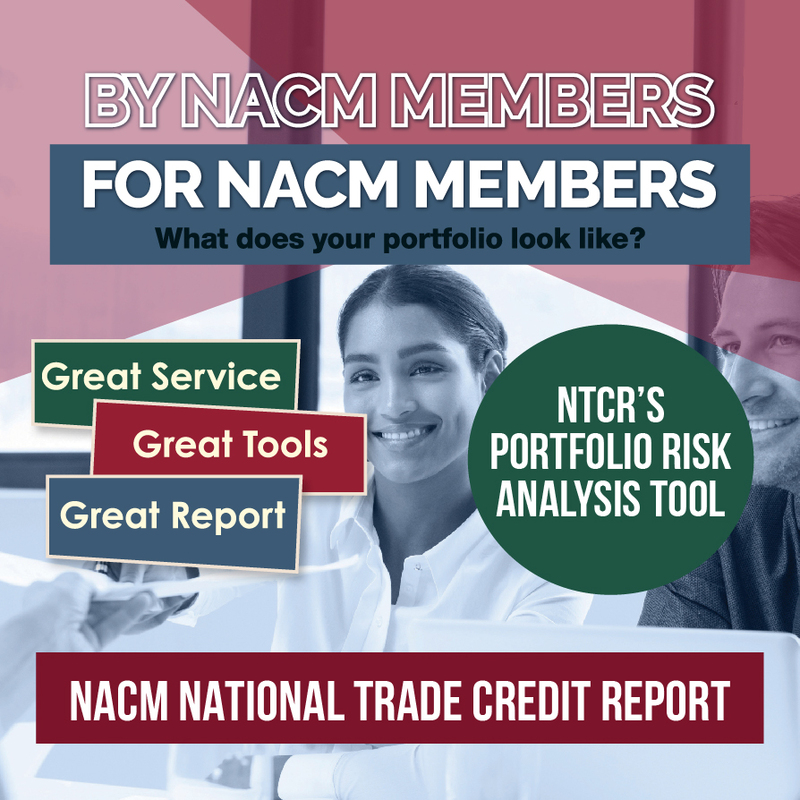 Subject to prior approval by the Board of Directors, NACM may take a position and express an opinion on issues generally affecting the business credit community and profession. To achieve the objectives of NACM, the Board of Directors may, at its discretion, establish wholly-owned subsidiary entities and organizational units such as boards, councils, or divisions to serve special interests of the business credit community. The Board of Directors will exercise governing authority over the Bylaws, policies, services, programs, and budgets of all subsidiary entities and organizational units, including qualification for membership, unless otherwise stated in these Bylaws. The Board of Directors will establish the terms and conditions for creating and recognizing Affiliated Association status. Affiliate status will be defined through contractual NACM Affiliated Association Agreement (Agreement) between NACM and the Affiliate. The terms of the Agreement will govern over any contrary or inconsistent provisions of these Bylaws. NACM will not be engaged in the core Affiliate services as defined in the contractual Agreement with the Affiliates. Previously known as the Secretarial Council, the role and duties of the Affiliate Council are defined in the contractual Agreement with the Affiliates. Three general classifications of membership in NACM are available: Affiliated, Special Interest, and Honorary Lifetime. Affiliated membership will be available to business entities conducting commercial operations in the course of which secured or unsecured commercial credit is extended to others. Excluded from eligibility for Affiliated membership is any business entity engaged in providing industry credit group, adjustment or commercial debt collection services which had not been accepted for membership prior to June 1, 1965, and any business entity providing credit reporting services which had not been accepted for membership prior to June 1, 1977, provided such membership has not lapsed since such admission. Each Affiliated member company will at the time of applying for membership, and from time to time thereafter, designate one or more individuals employed by such member as its representative(s), who will have the right to vote. Should such designated representative(s) no longer be the appropriate company representative(s), the member company will designate a new representative(s). Special Interest Membership will be limited to individuals and/or entities that are, or become, members of those NACM departments, units, divisions, or subsidiaries which were established prior to April 1, 2005. Special Interest members may be granted voting rights at the discretion of NACM. Honorary Lifetime membership, without voting rights, may be conferred upon members of NACM as the Board of Directors will determine. All members, except Affiliated members, may be removed for cause from membership by a two-thirds affirmative vote of the Board of Directors present at any Board meeting. For any cause, other than nonpayment of dues, a vote for removal will occur only after a complaint has been filed with the NACM President, the member against whom the complaint was lodged has been advised of the complaint, and that member has been given reasonable opportunity for defense and correction, if necessary. Such member, if removed, may appeal the decision of the Board, providing that the appeal is received by the NACM President at least thirty (30) days subsequent to the member's receipt of the notification of the decision. A former member, except Affiliated members, whose membership lapsed because of a failure to pay dues and who desires a continuous membership record may be reinstated upon showing proof of qualification and paying all financial obligations in arrears. A member, except Affiliated members, who is delinquent in dues for a period of sixty (60) days from the time dues become due will be subject to suspension or removal in accordance with NACM policy. Any member, except Affiliated members, may resign by filing a written resignation with the appropriate NACM department or unit or the NACM President. Such resignation will not relieve the member so resigning of the obligation to pay any dues or other charges previously accrued and unpaid. The annual business meeting of the members will be held to transact business as necessary at such place and on such dates and time as determined by the Board of Directors. NACM special business meetings may be called by the Board of Directors, the President, or upon receipt of written petitions signed by no less than fifteen percent (15%) of the total eligible voting membership, based on total membership as of the last day of the prior quarter, and filed with the NACM Secretary. Not more than fifty percent (50%) of the required fifteen (15) percent of the total eligible voting membership needed may come from any one of the geographic regions. The date, time and place of a (the) special meeting will be set by the Board. Individual petitions stating a specific and detailed agenda for discussion must be received by the NACM Secretary within a sixty (60) day time frame from the receipt of the first petition. Each petition must be written on the member company's letterhead, state the member representative's name and contact information and be signed by the member representative of any membership class, with voting rights, specified in Article IV. Petitions may be mailed, faxed or sent electronically. Written notice of any NACM business meeting at which official NACM business is to be transacted will be mailed, faxed or e-mailed to the address of record of each eligible voting member not less than fifteen (15) nor more than ninety (90) days before the date of the meeting. Or, such notice may be published in the official publication and or posted on the NACM web site at least thirty (30) days prior to such meeting. 5.5. Voting Rights at Special or Business Meetings. Members may exercise voting rights by ballot or proxy, submitted to the NACM Secretary, on the following issues and or any others as required under Maryland law. The issues include any proposed consolidation, merger, transfer of substantial assets, or dissolution, and any amendment of the Articles of Incorporation. At all NACM business meetings, all eligible voting members will have one (1) vote and may vote in person or by proxy, with such proxy submitted to the NACM Secretary. Members with more than one membership or more than one type of membership are entitled to only one (1) vote. In the event that ballots are available prior to a meeting, ballots may be cast in person, or, by mail, fax or e-mail to the NACM Secretary. For each proposal, based on total membership as of the last day of the prior quarter, an affirmative vote of two-thirds of all eligible votes, is necessary for approval. At the annual business meeting or a special meeting of the membership, a quorum will consist of fifteen percent (15%) of the total eligible voting membership. All actions approved by said members will be implemented by the Board of Directors. The governing body of NACM will be the Board of Directors. The Board of Directors will determine the current and future direction of NACM through its vision and mission statements, its strategic plan, and will determine its policies or changes therein, and will actively pursue these objectives, establish the financial policies of NACM, responsibly oversee NACM assets, and will be responsible for the interpretation of these Bylaws. The Board may adopt such rules and regulations for the conduct of its business as will be deemed advisable. The Board will consist of elected Officers, elected Directors, and seven (7) ex-officio Directors. The elected Officers are: the Chairman, the Chairman-Elect and the Immediate Past Chairman. The elected Directors are: two (2) Directors elected from each region of NACM. The ex-officio Directors are: four (4) Affiliate COO Directors; the FCIB-NACM Director, the NACM-CFDD Director, and the NACM President. There will be one ex-officio Affiliate COO Director, who is concurrently serving on the Affiliate Council, from each NACM geographic region. The Chairman of FCIB-NACM shall serve as the ex-officio FCIB-NACM Director and the NACM-CFDD ex-officio Director shall be serving in the NACM Board representative position on the NACM-CFDD Board. The ex-officio Affiliate COO, FCIB-NACM and NACM-CFDD Directors will serve with the right to vote. The NACM President will serve without the right to vote. Only one (1) voting Board member from the same Affiliate, who is not an ex-officio Director, will serve at any given time. 6.3. Quorum of the Board. At any meeting of the Board of Directors, a majority of the voting members of the Board will constitute a quorum for the transaction of the business of NACM. Any such business thus transacted will be valid providing it is affirmatively passed by a majority of those present and voting. 6.4. Meetings of the Board. Regular, in person, meetings of the Board of Directors will be held at least twice in each leadership year. The Board of Directors also may meet by telephone conference call as needed. 6.5. Notice of Regular Meetings of the Board. Notice of all regular meetings will be given to the Board of Directors not less than thirty (30) days before the meeting is to be held. 6.6. Special Meetings of the Board. Special meetings of the Board may be called by the Chairman of the Board or upon the filing of a written request signed by two-thirds of all voting Board members. Any written request must state the purpose of the meeting and the matters to be acted on at the meeting. The notice of the special meeting will be mailed, delivered, telephoned, or emailed to each member of the Board not less than seventy-two (72) hours before the meeting is to be held with the information about the purpose of the meeting and the business to be considered. Special meetings may be held in person, by telephone conference call, video conferencing, or similar means. Voting rights of a member of the Board will not be delegated to another nor exercised by proxy. To the extent allowed by law, action taken by a mail, fax, or electronic ballot of the members of the Board of Directors will be a valid action of the Board and will be reported to the Board within thirty (30) days of such Board action. The Chairman of the Board will cast a vote when the vote is by ballot. In all other cases, the Chairman may, but is not obligated to, vote whenever that vote will affect the result. The Chairman may vote to break or to cause a tie, or in a case where a two-thirds vote is required, to vote to either cause or block the attainment of the necessary two-thirds. Any elected Officer or Director who is absent from one (1) regular meeting of the Board of Directors during a single leadership year will receive a written warning from the Chairman. Any elected Officer or Director who is absent from two (2) consecutive regular meetings will vacate the seat on the Board of Directors and the vacancy will be filled as provided by these Bylaws. The Board of Directors may consider each absence of an elected Officer or Director as a separate circumstance and may expressly waive such absence by affirmative vote of a majority of its members. The Board of Directors will fill all vacant positions except in the instance where the vacancy occurs within ninety (90) days of the end of the leadership year and provided that the vacancy is not slated to be filled in the next leadership year. The Board will not fill vacant ex-officio Director positions. The Affiliate Council will elect a COO Director to fill a COO Director vacancy and the FCIB-NACM or NACM-CFDD Board will fill their respective vacancies. If a vacancy results from the election of a Director to an Officer position, it will be filled during the one-member/one-vote election, provided that the election is held prior to the date that the position is vacated. A Director elected to fill a vacancy will serve the unexpired term of his or her predecessor. The Board of Directors may remove any Director for cause, including but not limited to, failing to fulfill the duties, responsibilities, and obligations of the office, failing to abide by the code of conduct, or conflict of interest policy of the Board, or any like policy so adopted, by an affirmative two-thirds (2/3) vote of the Board present at any regular or special meeting. Elected members of the Board will not receive any compensation for Board-related services. Every Director, Officer, and employee of NACM and such others as specified from time to time by the Board will be indemnified by NACM to the extent of insurance coverage held by NACM against all expenses and liabilities including counsel fees, reasonably incurred or imposed upon them in connection with any proceeding to which they may be made a party or in which they may become involved, by reason of being or having been a Director, Officer, or employee of NACM, or any settlement thereof, whether the person is a Director, Officer, or employee at the time such expenses are incurred, except in such case wherein the Director, Officer, or employee is adjudged guilty of willful misfeasance or malfeasance in the performance of duties. The foregoing right of indemnification will be in addition to, and not exclusive of, all other rights to which the indemnified may be entitled. 7.1. Elected Director Term of Office. Elected Directors will serve for a term of three (3) years. 7.2. Ex-Officio Director Term of Office. The term for the FCIB-NACM Director will be two (2) years. The Affiliate COO Director and CFDD-NACM Director terms will be three years. At the completion of a three-year term, an elected Director will be ineligible to apply for reelection to the same office until one full year has elapsed. 7.4. Qualification and Election of Directors. In order to qualify and stand as a nominee for election by the members, a Director candidate must be an Affiliated Primary or Affiliated Associate member of NACM in accordance with Article IV, Section 4 of these Bylaws and have served on or be currently serving on an NACM Affiliate's Board of Directors and have completed one (1) full year of Affiliate Board service. In order to qualify and stand for election as a Director from a specific region, the candidate must be a member of an Affiliate in that region and reside in that region. The Officers of NACM are the Chairman of the Board, the Chairman-Elect, the Immediate Past Chairman, the President, the Treasurer, the Secretary and Vice Presidents. The President, Treasurer, Secretary, and Vice Presidents are employees of NACM. The elected Officers of NACM, all of whom serve with the right to vote, are the Chairman of the Board, the Chairman-Elect and the Immediate Past Chairman. Except as noted in this Article's Section 5, in order to be eligible to apply or be considered for the position of Chairman-Elect, a candidate must be an Affiliated Primary or Affiliated Associate member of NACM and must have served or be serving as a Director, elected by the members for a period of at least two (2) years at any time prior to applying for the elective term of office. The Chairman of the Board, Chairman-Elect and Immediate Past Chairman will serve for a term of one (1) year in such office. At the completion of their respective terms, the Chairman of the Board and Chairman-Elect will not be eligible for reelection to the same office. At the completion of the term, the Immediate Past Chairman is ineligible to apply or to be appointed for any position on the Board of Directors until a full year has elapsed. After the one year, any past chairman may be reelected to the Board, but must begin Board service in the capacity of Director. 8.6. Duties of the Chairman of the Board. The Chairman of the Board will be the chief elected officer of NACM. The Chairman will succeed to the position of Immediate Past Chairman, serving as a Counselor. The Chairman will also serve as an ex-officio member of all committees. At the Annual Business Meeting of NACM and at such other times as deemed approved, the Chairman of the Board will communicate to the members such matters and make suggestions as may tend to promote the welfare and value of NACM. The Chairman will perform such other duties as are necessarily incident of the office of Chairman of the Board or as may be prescribed by the Board of Directors. 8.7. Duties of the Chairman-Elect. The Chairman-Elect will succeed to the Chairmanship and then will succeed to Immediate Past Chairman and serve as Counselor. The Chairman-Elect will perform such duties as are delegated or assigned by the Chairman of the Board or the Board of Directors. The Chairman-Elect will act temporarily as Chairman in the event that the Chairman of the Board is unable temporarily to perform the above duties. The Board of Directors may designate standing and special committees. The appointment to such committees will be made jointly, where applicable, by the Chairman of the Board and the Chairman Elect. There will be up to seven (7) members of the Audit Committee. The elected Officers will serve as members of the Audit Committee. The Chairman, the Chairman-Elect, and Immediate Past Chairman will each select one (1) director to serve on the Committee. The Chairman may appoint one qualified expert as the seventh (7th) member of the Audit Committee, who may or may not be a member of the Board or NACM. The Chairman-Elect will serve as Audit Committee Chair. The NACM President will also serve as an ex-officio member of the Committee without the right to vote. There will be five (5) members of the Nominating Committee. The members of the Nominating Committee will be the Immediate Past Chairman, who will serve as the Chairman of the Committee, and four (4) Directors. Two (2) of the four (4) Directors will be Affiliate COO Directors and the other two (2) will be Directors elected by the NACM membership. All members of the Committee will serve as voting members. The NACM President will also serve as an ex-officio member of the Committee without the right to vote. 9.5. Bylaws Amendment Review Committee. There will be five (5) members of Bylaws Amendment Review Committee. The Chair-Elect will serve as Chairman of the Committee. Two (2) of the five (5) members will be Affiliate COO Directors and two (2) of the five members will be Directors elected by the NACM membership. The NACM President will also serve as an ex-officio member of the Committee without the right to vote. A call for Officer candidates will be published in NACM's official publication. Said notification will be published at least ninety (90) days before the date of the election. All eligible candidates will complete an Officer Candidate application which will be timely received by the NACM Secretary by the prescribed deadline. Provided that the candidate's application is in good order, meeting all of the eligibility requirements set forth in Article VIII, the NACM Secretary will announce the candidates to the membership and the Board in accordance with Article XII. If the NACM Secretary has any questions about any candidate's eligibility or application, it will be sent to the Nominating Committee for discussion, review and a final decision regarding eligibility. A call for Director candidates will be published in NACM's official publication. Said notification will be made at least one hundred and twenty (120) days before the date of the election. All interested candidates must complete a Director Candidate Application form which will be timely received by the NACM Secretary by the prescribed deadline. Candidates must apply to represent only one (1) geographic region. To be eligible for nomination, all candidates must meet all of the eligibility requirements described in Article VIII. In addition to meetings to discuss recruitment efforts, the Nominating Committee will meet only if there are more than four (4) candidates for any one Director opening to reduce the pool of candidates to only four (4) or if it is in receipt of an application needing an eligibility decision. Once each candidate's eligibility has been verified by the NACM Secretary and the Nominating Committee, if required, the Secretary will notify each candidate and the Board of Directors. The Secretary will report to the NACM members, at least forty five (45) days before the date of the close of the election, a list of not more than four (4) qualified nominees for each vacant elected Director position. 10.3. Director Nomination by Petition. Any director candidate, who applied and met all of the qualifications as a Director candidate but was eliminated in the process of reducing the total number of candidates to four, may seek to be nominated to the ballot by petition. Such individual must present to the NACM Secretary one or more petitions signed by one percent (1%) of the members of record in good standing from the nominee's region. Provided such petitions are received by the Secretary within thirty (30) days prior to the start of the election, such candidate will be deemed to be nominated for such Director position. The elected officers will be elected by the Board of Directors at the mid-year Board of Directors meeting. Nominations for qualified Officer candidates, in accordance with Article VIII, Section 3, may be made from the floor by any member of the Board of Directors at the time that the election is held. The NACM Board will elect the officers by ballot vote. The Chairman of the NACM Nominating Committee along with a NACM staff officer designee will count the votes. The NACM Nominating Committee Chairman will announce the results of the election. The election of Directors will follow the election of Officers. In the event that any director candidate is running unopposed, the Chairman of the Board, as a member of NACM, will cast the vote to elect that candidate to the position sought, fulfilling the requirement that directors be elected by a membership vote. When two or more candidates are seeking the same director position, a one-member one-vote election by ballot will be held. Not later than 30 days before the date of the election, the NACM Secretary will publish an election ballot, containing the names of each of the nominees, brief biographical data, a statement of each of the nominees, and the positions sought by each nominee. Every ballot will clearly state that in order to be valid, the ballot must be received by the Secretary of the Association not later than the date specified on the ballot. 11.5. Director Voting and Ballot Tabulation. Each NACM member, who has voting rights as defined in Article IV, will be eligible to cast one ballot to elect a candidate when two or more candidates are seeking any one position. Ballots may be cast online, via mail, by fax or any other electronic means. The NACM Secretary or the Secretary's designee will tabulate the ballots. A plurality vote will elect. The Chair of the Board or designee will announce the results of the election. The newly elected Board will take office on the first day of the calendar year following the elections. The Board will hire, employ and terminate, if necessary, a salaried chief executive who will have the title of President and COO. The terms, conditions, and compensation of initial employment will be specified by the Board. An annual performance review and on-going compensation of the President will be conducted by Chairman, Chairman-Elect and Immediate Past Chairman. The President will manage and direct all activities of NACM in accordance with these Bylaws and the policies set forth in the NACM Governance Policy. The Board of Directors may approve, upon recommendation of the President, one or more Vice President positions. The staff occupying these positions will be employees of NACM, whose duties and remuneration will be fixed by the President. Staff Vice Presidents will be Officers of NACM. The Board of Directors will appoint, upon recommendation of the President, a Secretary and a Treasurer. Such Officers will be employees of NACM, whose duties and remuneration will be fixed by the President. The President may appoint a recording secretary whose primary responsibility will be to duly and properly record and report the proceedings of meetings. The fiscal period will be established by the Board of Directors. Dues for all classes of membership will be established by the Board of Directors. Liability insurance coverage will be furnished for the Board of Directors, Staff Officers, or employees of NACM as the Board will direct. 13.4. Budget and Year End Financials. The Board will adopt an annual operating budget covering all activities of NACM. The accounts of NACM will be audited not less than annually by a Certified Public Accountant who will be recommended by the President and Treasurer, selected by the Board, and who will provide a report to the Board of Directors. Within ninety (90) days of the fiscal year end, the Auditors will deliver a financial report for the fiscal year just concluded to the Board. The financials will be made available to the members within one hundred twenty (120) days of the fiscal year end. The Board of Directors will, at its annual meeting, designate one or more proxies who will attend and vote at any meetings of stockholders of any corporation in which NACM may hold stock. At any such meeting, such proxies will possess and may exercise any and all rights and powers incident to the ownership of the said stock, which, as the owner thereof, NACM might have possessed and exercised, if present. The Board of Directors may instruct such proxies as to the persons for whom their votes will be cast at any election of Directors of any such corporation and the said proxies will be bound by instructions, if given. Any proposal for the amendment of these Bylaws will be made by the Board of Directors, or by fifteen percent (15%) or more of the Affiliated Associations, signed by both the COO and CEO, or by five percent (5%) of the members, based on total membership as of the last day of the prior quarter, in writing to the Secretary. All proposals will be filed in writing to the NACM Secretary. Once a proposal for the amendment of these Bylaws has been filed in the office of the Secretary, the proposal will be sent to the Bylaws Amendment Review Committee. The Bylaws Amendment Review Committee will consider the amendment and submit its findings in a written report to the Board, within 90 days. 15.3. Notice and Membership Comment. Notice of such proposal, along with the report of the Bylaws Amendment Review Committee, will be given to the members in an official publication of NACM three (3) months preceding the meeting at which such proposal is scheduled to be considered for approval by the Board of Directors. Notice of such proposal will be given in writing to the NACM Board and all Affiliated Associations. Instructions for submitting comments will be provided with the notice. If objections are received about such proposal from the Board, the members, or Affiliated Associations in good standing, such proposal will be reconsidered by the Bylaws Amendment Review Committee. The Bylaws Amendment Review Committee will reconsider the amendment and will make a new report to the Board within thirty (30) days. The Board will act on an amendment proposal only if it has been made in accordance with Sections 1, 2, 3, and 4 above. An affirmative vote of two-thirds of the members of the Board is required for passage. The final Board action will be published to all members. Within thirty (30) days of the date of the publication of the notice in an official publication to the members of the Board's action on an amendment, the membership can seek to override such action. The date of publication will be the last day of the month in which the notice is published. Such override vote request may only be initiated by NACM Secretary's receipt, within thirty (30) days, of individually written and submitted requests signed by 10 percent of NACM members in good standing, of which not more than 50% may come from any one region. The required number of members needed to meet the percentage requirement to call for a override vote by the general membership will be calculated based on the total NACM membership rolls on the last day of the prior calendar year quarter. Individually written requests for an override vote must be separate from any other request and must be received within the thirty (30) day notice period. In the event of the receipt of the requisite number of individually written submissions requesting an override vote, the NACM Secretary will publish a notice of the request for override vote in the official publication. The notice will include all relevant information concerning the Board of Directors' action to be overridden as well as this section of the Bylaws. Additionally, the NACM Secretary will include instructions about the ballot for the override vote. Each member in good standing of this Association will be eligible to cast one (1) vote. The deadline for the receipt of the ballots for the override vote will be sixty (60) days after the publication date as set forth above. The deadline will be published with the notice. In order to effect such an override, the Secretary must timely receive override ballots from a required percentage of the members in good standing of NACM in favor of such override. The percentage of members who must cast a vote to effect such override will be fifty-one (51) percent of all of the members in good standing and two-thirds of those members voting must vote in favor of the override. The Secretary will immediately notify the Board of Directors and the membership of the result of said vote. Notification of the result of said vote will be published in the next available issue of an official publication. As of said notification, the overridden action of the Board of Directors will be deemed, from that date forward, to be of no force and effect. As a result, the subject amendment that had been approved would be disapproved or the subject amendment that had been disapproved would be approved. The rules contained in the newly revised edition of Robert's Rules of Order will govern the conduct of meetings of NACM in all cases to which they are applicable and in which they are not inconsistent with the Bylaws, policies, and any special rules NACM may adopt. NACM will use its funds only to accomplish the objectives and purposes of NACM and no part of said funds will inure or be distributed to the members. On dissolution of NACM, any funds remaining will be distributed exclusively for the common business interests of its members or to qualified charitable, educational, scientific, or philanthropic organizations to be selected by the Board of Directors.